I am completely satisfied with both service and delivery. Excellent shop, excellent two watches, which I have bought here. This is my third purchase from the watch shop for my partner. He loves watches however struggles to find ones large enough to suit his big wrists. The watch shop has the biggest choice and I love the best sellers part so I can ensure I’m buying him gifts that he will definitely approve of. 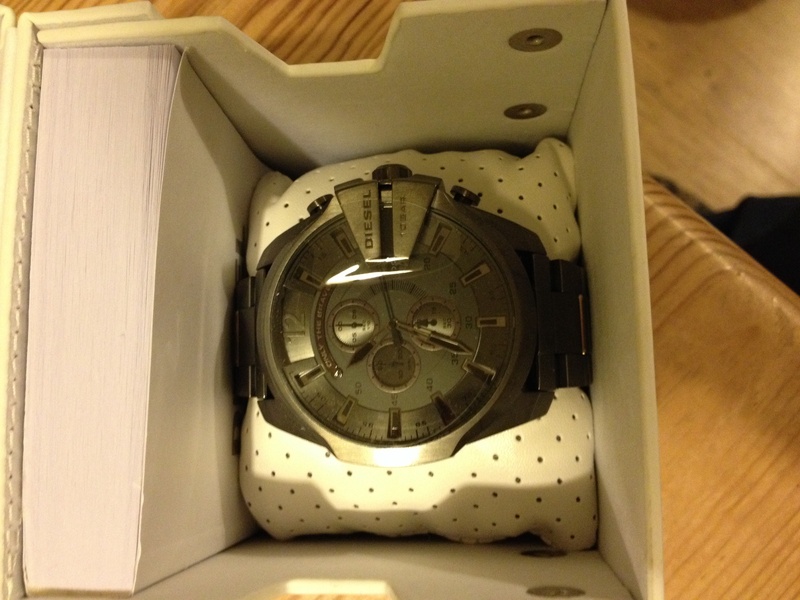 He loves his latest watch and it came very quickly and the payment process was very quick and straight forward. Will continue ordering from watch shop. Thankyou. 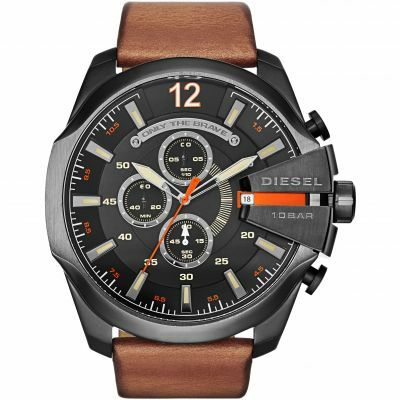 The mens diesel mega chief chronograph watch is very chunky and different from your everyday classic watch. It will go well with any sportswear or casual wear. Its definitely a mega chronograph watch! If you like big chunky watch then its the one to go for. I personally would have liked the numbers to stand out from the dial so it can be more visible. One of the best watches ive ever purchased. 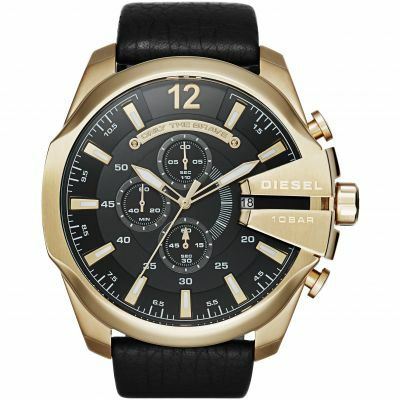 I had ordered this watch for my brothers birthday as it is so eye catching! looks exactly as it did online and he was very happy with his new watch! very good customer service and very fast and efficient delivery! I brought this watch for my fiancé as a Christmas present,he absolutely loved it,it was exactly what I was looking for. 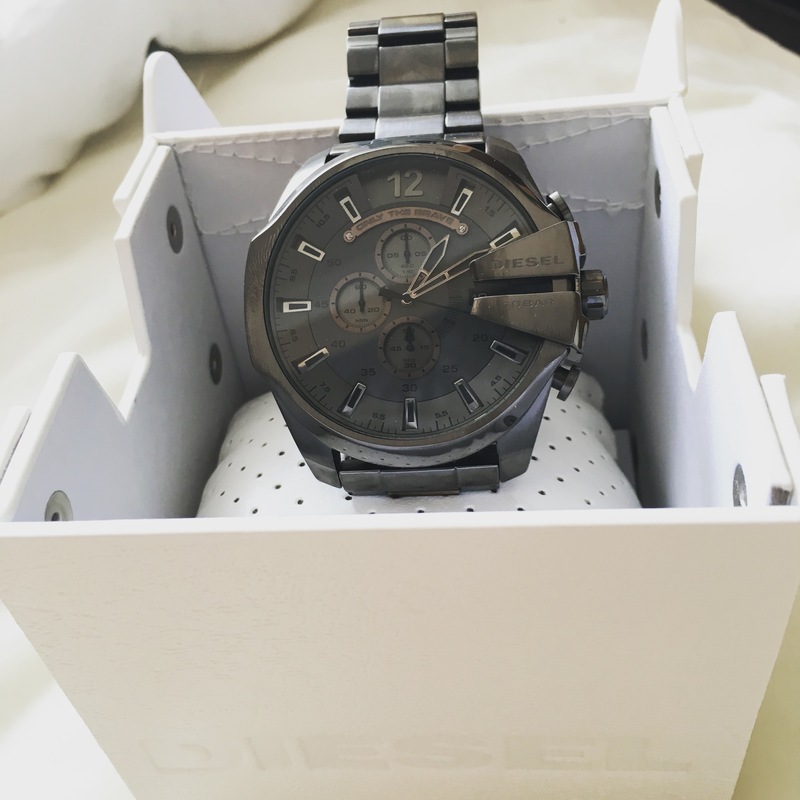 This diesel watch was bought as a gift for the husband. It comes in a chunky riveted box which is a nice touch. 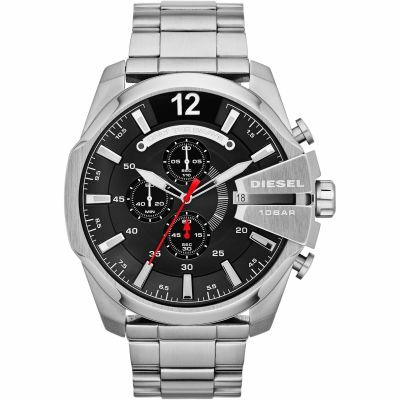 The watch itself is gunmetal colour with a large chronograph face. 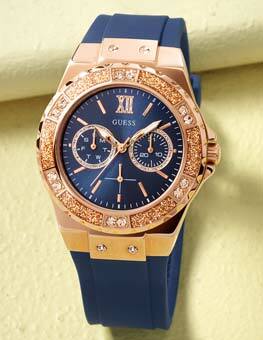 It is a bold statement watch that catches your eye and draws compliments. Good watch.. it arrived too late, coz Royal Mail messed up with my parcel.. watch is brilliant on doubt.. loving my product.. I got this watch for my brother who saw it an instantly fell in love with it. I know watches are not always as they seem on pictures but went for it anyway. The watch did not disappoint, came the next day and looks amazing. The colour is bang on and I know this type of watch is not for everyone but it looks awesome on him and so happy I got it for him. 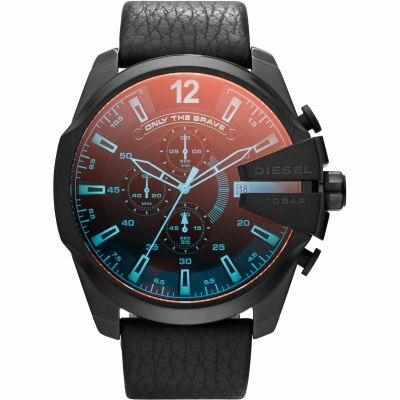 Its a diesel so expect it to be a bit larger than most watches but I think the design compliments the size nicely. You will not be disappointed. Comes really nicely packed as well. Decided against gift wrap but that is also an option. 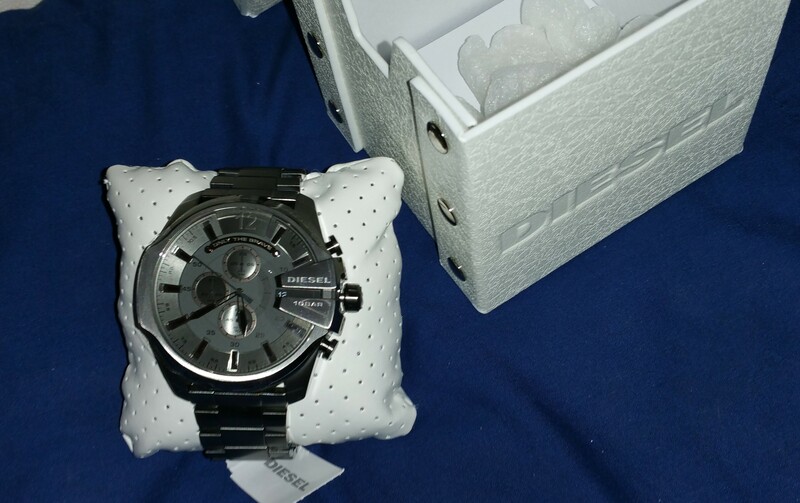 The ordering was really easy, My item came very quickly and the watch itself is beautiful!! It is a present for Christmas so cant say anything about the fit or comfort yet. Looks very nice! 10/10! fast shipping! good online shop! will recommend to all my friends! Good price, quick delivery and a top quality watch. Everyone needs a nice watch and this is it here. Worth every penny. Highly recommend it. Really stunning watch that dosnt look too big on the wrist. Hubby is delighted with it. Great watch, love the size and design. The colour is very nice and goes very well with the watch. Watch is fantastic. Watch shop service is quick and very professional. sometimes its difficult buying on the internet without seeing the watch first. That is what i did with this one. I can actually say i was more than impressed with the final product i received. Solid watch, looks tough and smart at the same time. I bought this watch and it was a gift for my boyfriend and he absolutely adores it! The Watch is amazing. Before I buy I read reviews which encourage me to go for this.it suits in my wrist and looks more expensive than the price. This watch is amazing. The picture doesnt do it justice. Its much bigger than it looks and my partner loved it and was very happy with his present. Worth a buy for a great price! Excellent product arrived as advertised. Delivered the next day. I am very pleased with the purchase. Brought this watch for my other half for Christmas, delivery was super quick and I was kept up-to-date on its progress and provided with a tracking number. Watched arrived on time and I am 100% sure he will love it! Very happy with my purchase! Item looked exactly as I was expecting. The watch looks very stylish and was a great birthday present. My boyfriend said it fit perfectly and felt very comfortable on. As soon as I saw this picture I knew I had to buy it. I was drawn to the sleek, masculine, gun metal look. After a speedy delivery, I received it in a white diesel box which I found useful and ideal for a gift. It is much more attractive than the picture! It feels like quality and certainly looks like excellent quality. I would highly recommend this watch! The watch has a large readable face and a very nice unusual colour that would go with anything you wear. Lovely watch very good quality and a good size, as my partner has huge wrists this is normally a problem. I love big watches. This watch didnt disappoint. The gun metal colour makes it different from others I have seen. A very chunky watch, looks funky on! Fitted the wrist perfectly no need for adjustment. All round good watch. The watch is exactly as described, arrived extremley quick. Comes in a lovely display box. Bought as a gift for the boyfriend for christmas he is a big lad as he is a body builder so the size is perfect for his wrist and hand, and as you get the option to adjust the strap at your local goldsmiths is a huge bonus just incase. Thank you watch shop. My wife insisted that we use our local watch shop when i was purchasing my birthday present, a call was put in with a promise that the watch would arrive over the weekend and id receive a call once it was in. 8 days passed without a call, so i enquired, to be told that the order had only just been placed and that it would be 10-14 working days before the watch came in. After i put the phone down, i went onto thewatchshop website. had found a discount code which took the price down further, and used this discount to obtain next day delivery before 9am. I ordered at 16:00, and was not expecting the doorbell to be ringing at 07:20 the next morning with a parcel. Id thought id missed the cut off by ordering so late. The watch had arrived well packaged, and was everything.id expected. 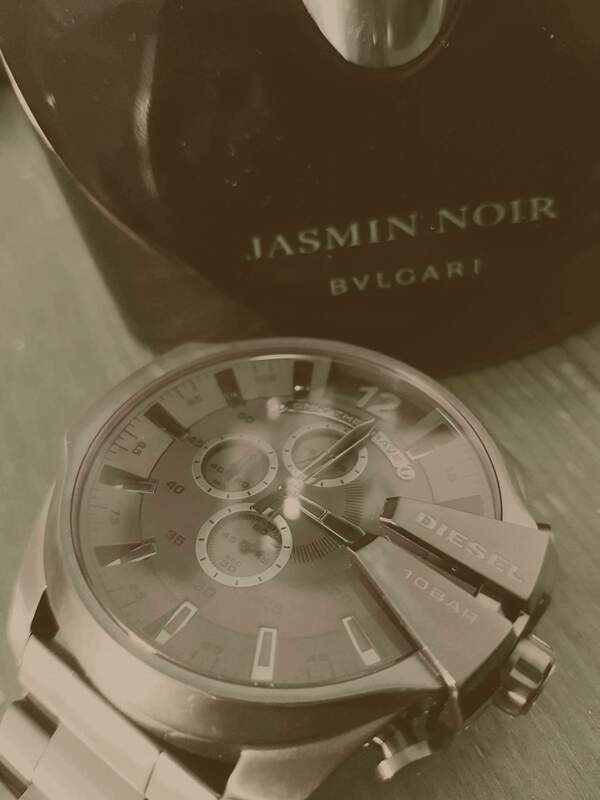 This company has exceeded my already high standards, with a great selection of well priced watches, great customer care and satisfaction, and extremely quick and efficient service. My wife and I now have a new default watch shop - thank you. The clock is lovely, the colour looks great and the face is large which looks really great on the wrist. The dials on the face look really good and the timer function is quite useful! 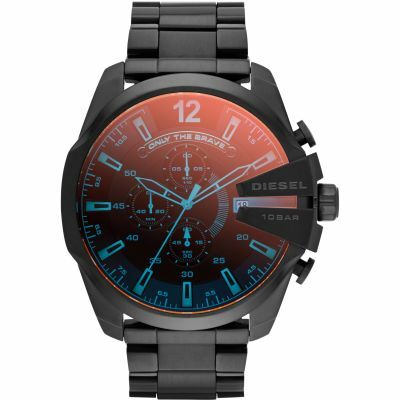 The Diesel branding on the right of the face makes it so much more attractive than other watches you see! Looks smart and was a great purchase for my boyfriend- he loves it! Great item! Thank you very much. I bought this watch for my fiances 30th Birthday and after looking about for an unusual watch, I came across this. This watch is fantastic, it is rather large but thats what i was looking for. The face is different and he has had a lot of compliments on this watch after only one week of wearing it. Perfect for a present and the color and style of the watch really do not do it justice from the pictures online. excellent watch, I wasnt sure if the size would be too much and maybe too heavy but I found it spot on. Great service - reserved online and collected from local Goldsmith store adjusted for free. Very customer focused store - free coffee! 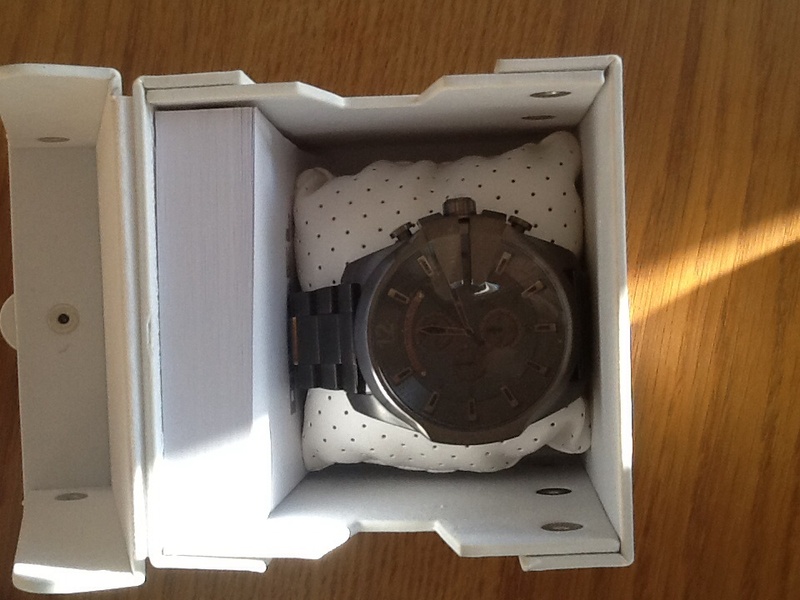 Watch bought for sons 18th birthday whose very pleased. Great chunky style with lots of features, good choice of colour - good value compared to other stores. I bought this product couple of days back. Soon as I opened the outer packaging the watch comes in a premium looking big white box which you will see when viewing the picture on the Watchshop site. I have two words for this watch....absolutely amazing!! For the price and looks this watch would be a purchase you would not regret that you bought. It does, in my opinion look far better in real life than in the picture as the finer details on the watch face can be seen clearer when worn on my wrist. 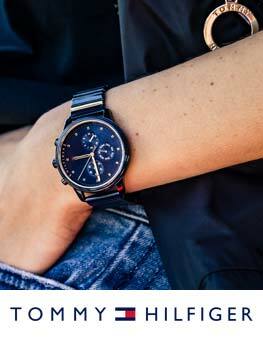 The sleek and gloss overall dark grey finish on the watch makes it ever so more cool and sophisticated. This is definitely a watch that I would were for most occasions as it will match almost any outfit. The only downside for me is that the watch face is big and I have a small wrist, that is the only bad thing I can say about this watch, and that said even on my small wrist it still looks so cool. I cant see this being such a bad thing for people with bigger wrists, it would look much better on them and it would no doubt be one of the best features of the watch. I would recommend the watch shop to everyone The service was 100% . 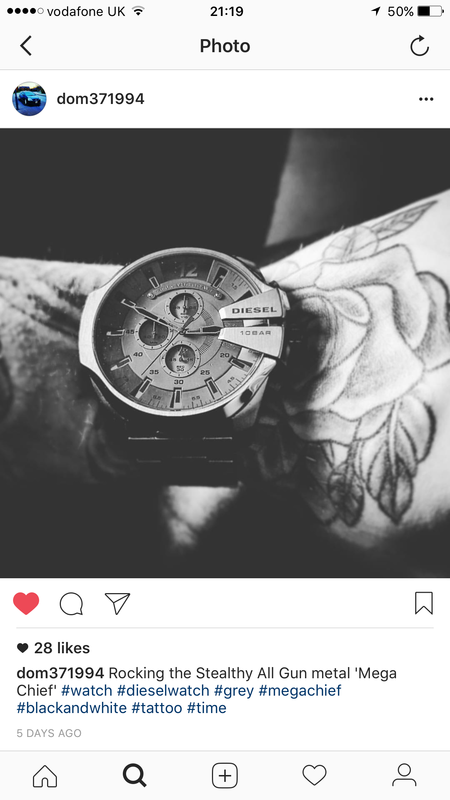 The watch itself is great looks good feels great on my wrist the one I had was silver face their is nothing bad to say about it. Great product and service, will definitely purchase from the watch shop again. Got the watch delivered to a store, was fast and painless to collect. Great service and very speedy delivery even during the holidays when I purchased my watch at no added cost. Lovely watch and great to wear, would recommend to anyone wanting to purchase. Like the size its very big and noticeable so stands out if thats what your looking for. Nice colour, lovely face and can tell the time properly. I love it. My fiancé shows it off to everyone. I have recommended the watch shop to all family and friends. I loved the design of the watch when I saw it on the website. However when I received was surprised how huge it is! Probably my fault for not taking note of the measurements. Really great design and colour however if youre looking for something more discrete then look elsewhere. This has a huge clock face and is quite thick too. This particular watch is a great gift for someone special, it is just as lovely in person as it is on the image, perfect size for a male, the colour is different which makes the watch stand out and look different from ordinary watches. The price of this watch is manageable. Its a personal gift and I am very happy with it overall and look forward to giving this gift to my partner. Lovely watch. The gun metal black colour looks casual but also smart with formal wear. I have bought this for my partner for xmas and I think hes going to love it! Its a really nice modern watch and a brand you can trust. I love the gun metal colour. The pictures on this site are of excellent quality which helps when selecting what you want to buy. Prices are very competitive and delivery super fast. I would recommend the watchshop every time! This watch is absolutely amazing in all ways. 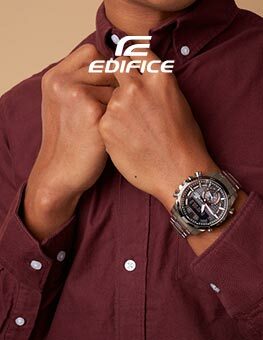 Firstly, the metallic color is of such kind that it shows both bright and dark sides of the owner, no wonder the name of the watch is Only The Brave. The size of the watch implies that you like items which are extraordinary as its size is double the standard and it is a challenge to wear such a big watch without noticing it yourself. Its futuristic, yet classical design brings out the character of the owner showing that while he likes to move forward with his style, does not forget the basic rules of fashion. The weight of the watch is rather high, but in the best possible way and as soon as it is put on the wrist, you can feel that you are wearing a real solid product of high quality. Metal frame and bracelet provide a good combination of an eye-catching product and durability. Very happy with such a purchase! 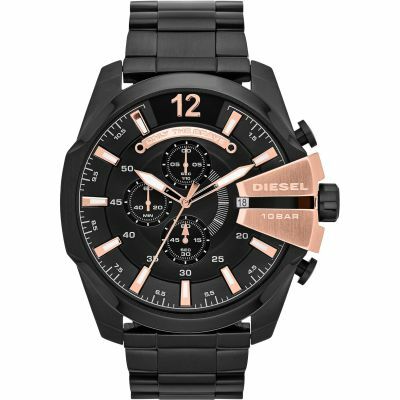 I wanted to find my bf a chunky, modern watch for Christmas, and fell in love with this Diesel watch. It was difficult to choose from all the possible colours and styles, but Mega Chief really caught my eye with its extra metal wedges on the face, and I wanted the steel colour wristband as I thought it might look good against his dark skin. 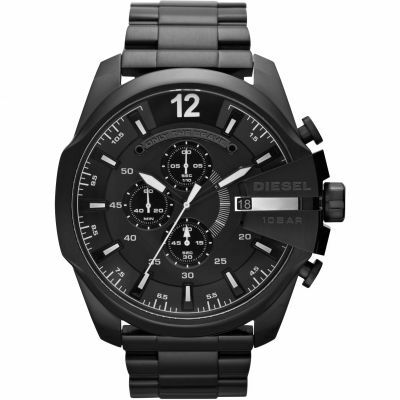 Ordered a Diesel watch for my son. He is absolutely thrilled with it. The watch is exactly as described, a nice weight, good value for money and looked superb. i am absolutely in love with this watch. 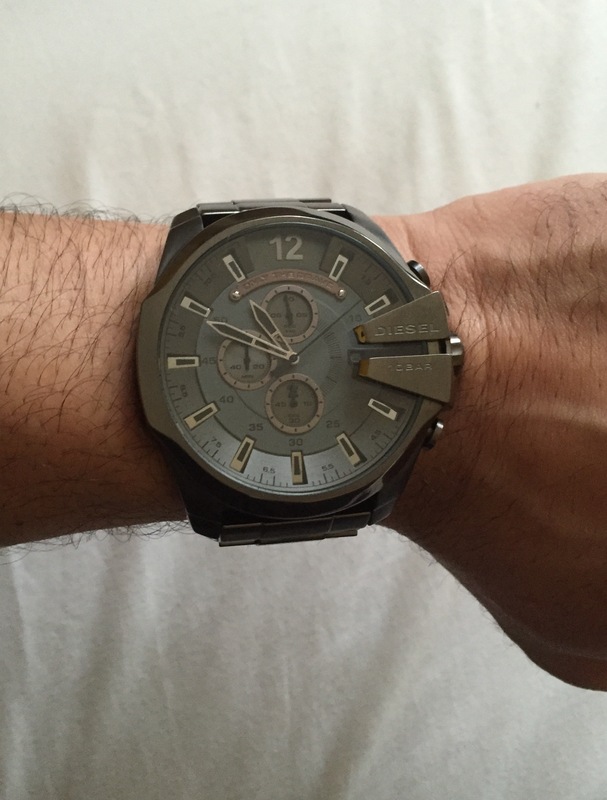 it is a little bit big but the more i wore the watch the more i fell in love with it. it is sleak, sophisticated and modern. excellent watch. i bought for my boyfriend like a gift and he really like , very fast delivery aswell. Bought this for bf, it is a nice watch but I find the face of the watch far too big and heavy. An excellent gift for my partner who loves his watches. No issues with the strap unlike The big daddy diesel watch we previously purchased from another site. This watch is easy to use and a comfortable fit. The watch is fantastic! Brilliant quality and well made. Despite the dark colour the face/dials are easy to read and I have had no problem telling the time on it. Instructions for setting time/date are very easy as I have found with my other Diesel watches. You may need to take a couple of links out I had to remove 3 but this can be easily done at most jewellers. 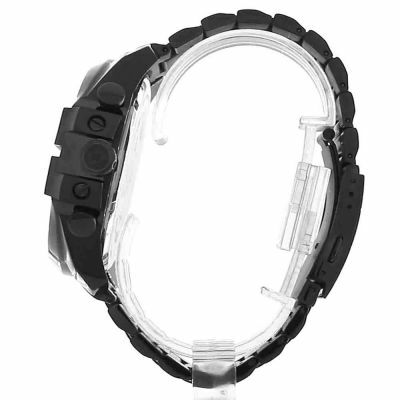 The strap is also adjustible at the clasp to allow additional movement in the strap size. 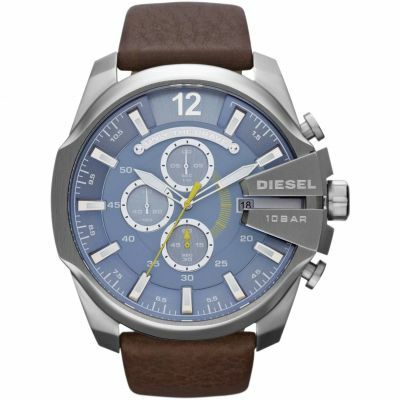 This is my 3rd Diesel watch and I would definitely by from them again as I have never had problems with them. Brilliant watch and service cant fault!!!!! Delivery on time, packaging would be good for a gift as it was nicely presented. Excellent service, item received as described and arrived on time. Even price matched. Would highly recommend. The watch was a well received gift, very good communication from the Watchshop. Will recommend to purchase from here agin as i will. 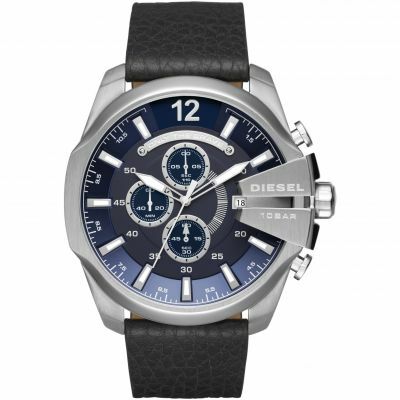 My other half had been looking at diesel watches and I decided by far this is the nicest looking one! The face is a pretty big size, and in the gunmetal colour looks really smart, without it being too over the top for the size of it! The face has a really nice chronograph detail, Im not entirely sure what these dials do, but they make it look really interesting, and with the extra metal that comes out over the 3 it adds even more detailing! The bracelet itself is narrower than the face, so isnt too large a size, but is still fairly chunky and balanced out the size of the face nicely! 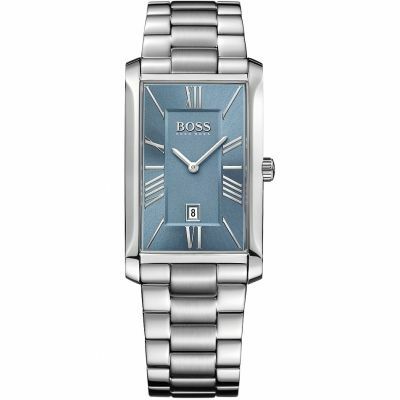 The gunmetal finish gives quite a classy looking finish on what is a modern looking watch. The knobs for setting the time etc are not too large, so dont stick out from the side too much, keeping it quite slick looking. 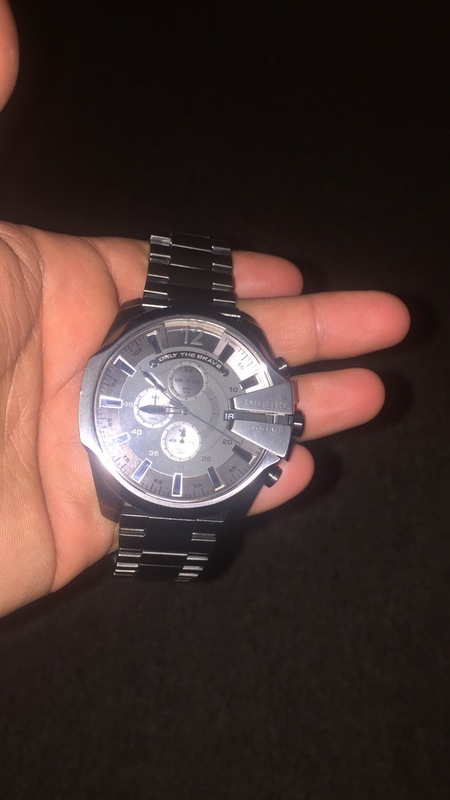 If youre looking for a good value watch that really looks the part, I couldnt fault this one, whether dressed casually or with a suit, its a really nice looking piece thats bound to grab attention . , . But in the right way! 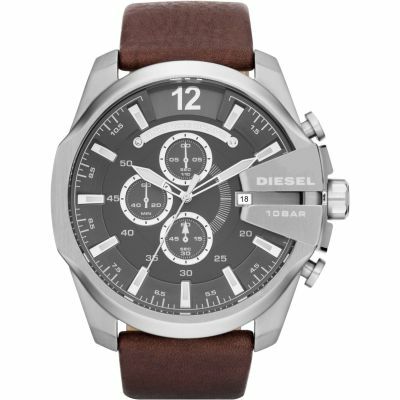 After looking at other diesel watches I really think I made the right choice with this one, sure to go down well with most people is say, whether theyre a massive watch fanatic or just a casual wearer! Please note, on the photo, I have left the plastic film on the face as its for a gift, hence the odd shine on it! And they also come in a really nice presentation box! Very nice looking watch, fits perfect, feels great to wear. Very happy with the watch and the service. Looks exactly as described, nice and chunky but doesnt look cheap. 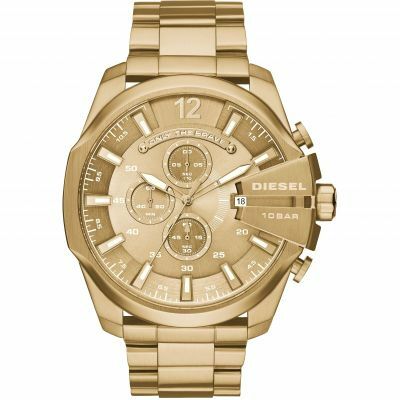 I would say its more a fashion watch but if thats what your looking for, this watch is perfect! Bought as a present for my other half. Im very happy with the quality, you cant go wrong with diesel. Quite heavy, details are subtle due to the material. Very happy. Looks fantastic better than the picture. As a gift for my partner Im hoping he will love it! Really nice compromise for colour for someone who doesnt like the shiny crome look but still wanting a watch that can look formal. Manly and weighty, it feels like a very high quality watch. Watch Shop is een geautoriseerde Diesel verkoper. 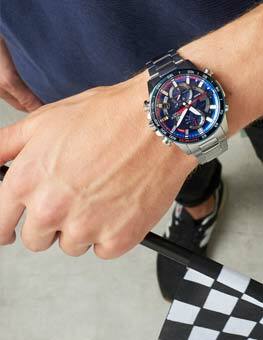 Meld u nu aan om e-mail updates te ontvangen wanneer nieuwe stijlen van Diesel worden toegevoegd aan Watch Shop!